Let’s look at it this way: cannabis concentrates like shatter, wax, and oil are the Superman of your Highville. Alas, like any superhero, they have arch nemeses. In this case, it’s the evil quartet of time, light, air and heat! Products have shelf lives, and cannabis concentrates aren’t an exception to this. Unfortunately, if they are improperly stored, the THC will break down into cannabinoids that aren’t as potent. Just like Superman with kryptonite, your cannabis concentrate will be much weaker. So how do you keep your concentrates from losing their potency, aroma, and flavor? The key here is PROPER STORAGE, and we will show you how. 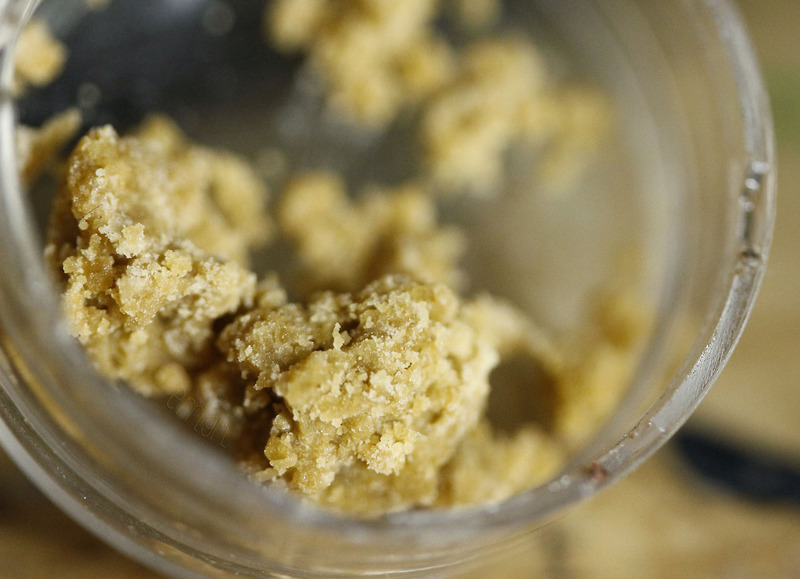 Like silicone jars, you can’t use parchment paper to store your concentrates long-term. But they’re great for shatter and using the rosin method to make dabs. You can store your extract by cutting it up and wrapping it in the parchment paper. This storage method is done to protect your concentrate from anything that could ruin its quality. If you’ve got something like crumble or wax and you don’t want it to be sat on, make sure you put it in a spacious container after folding it in parchment paper. Avoid using it with concentrates that could leak (an image of spaghetti wrapped in paper could tell you why). Keep it somewhere dark and cool if you’re only storing the concentrate for a short period of time. For long-term storage, seal the parchment paper in a container that will keep away light, moisture, and air. Then, you can leave that container in somewhere dark and cool, too. If the amount of time you want to store the concentrate isn’t too long or too short, like less than a month or so, you can still make use of parchment paper. Keep the concentrate that’s wrapped in parchment paper in a sealed food bag. The next step is the same as the previous ones: airtight container, then a dark and cool place. If you aren’t storing your concentrates for too long, you can use plastic jars. These are good for extracts with an oily consistency, but avoid keeping your sticky extracts in these unless you think trying to get them to unstick is fun. There are glass jars of various shapes and sizes, but you don’t want too much extra space for air, so make sure you use the smallest one possible. They go great with extracts like sugars, sauce, budder, and oleoresins. You can scoop them right out because they won’t stick too much to the glass walls of the container. You can even use a vacuum sealer on the jars and keep them somewhere dark and cool if you want to store your extracts for a longer amount of time. Jars that are made of medical grade silicone will keep your concentrates uncontaminated. Unlike glass jars, your shatter won’t stick to it. Whatever type of concentrates you have, you can scoop it out easily. Despite these pros, you can only use them for a short time, because these jars are not air-tight. It’s best for extracts you’ll be using up within a week to assure the quality of your concentrates. If you want to store your cannabis concentrates long-term, your best option is the freezer or the fridge if you live somewhere hot. How do you do this without letting the humidity contaminate them? Store the extracts in a glass jar or wrap them carefully in parchment paper. Make sure to vacuum-seal. If you don’t have anything for vacuum-sealing, you have the option of placing these in a bag that is tightly sealed, then placing that in a container that is also tightly sealed. Make sure there is no excess air. If you’ve stored it in the fridge or freezer, don’t go straight to opening it or unsealing it when you take it out. You have to wait for it to get to room temperature first. If this happens, you’ll be hearing sizzles when you take dabs. These are all great ways to store your cannabis concentrates, but it will mostly depend on what kind of concentrate it is and how long you will be keeping it. Remember, wetter extracts go in jars while shatter goes in parchment paper. Stickier ones go best with glass, while others are okay in plastic or silicone. If you want your extracts to keep their potency, flavor, and aroma, make sure to take all precautions aside from keeping them in a dark and cool location. These can include vacuum-sealing or freezing and refrigeration. If you have any tips on storing extracts or other methods, feel free to leave a comment below!